The Town of Enfield is represented by two Republicans in its State Legislative Districts (Senate: 7th; and 59th). The position of Judge of Probate is held by Carolyn McCaffrey. Additionally, the legislative body for the Town (the Town Council) holds a 6-5 Republican majority while the Board of Education holds a 5-4 Republican Majority. To learn more about your Republican elected officials, please click on the State Government, Town Council and Board of Education links below. On Tuesday, November 6, 2018, the voters of Enfield, re-elected Sen. John Kissel for his 12th turn representing the 7th Senatorial District. Rep. Carol Hall won the 59th House District for her second term. Voters also awarded local attorney Carolyn McCaffrey her first term as Judge of Probate. 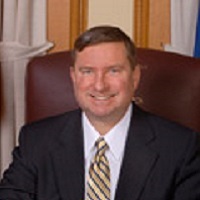 Sen. John Kissel, serving his 12th term as State Senator for the 7th District, lives in Enfield with his wife, Cynthia, and their sons, Nathaniel and Tristan. Born in Worcester, Mass. in 1959, Sen. Kissel was raised in Windsor, Connecticut. 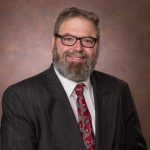 He received his BS from the University Of Connecticut School Of Education in 1981, his JD from Western New England College School of Law in 1984, and a BA in in History from UCONN in 2002. He is a Past Adjunct Professor at Bay Path College in Longmeadow, Mass. and currently works as a corporate attorney for Eversource. 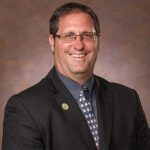 In the State Senate, John is the Chief Deputy Senate Republican Majority Leader, is the Co-Chair of the Judiciary Committee, Vice-Chair of the Committee on Children and serves as a Member on the Appropriations Committee and the Legislative Management Committee. 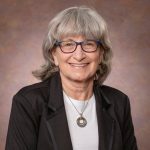 Elected to her second term in November of 2018, Ranking Member of the legislature’s Higher Education and Employment Advancement Committee and will serve as a member of the Public Safety Committee and the Appropriations Committee. Carol was raised in a military family, moved to Enfield while in High School and is married with three children and five grandchildren. Before her time as State Representative, Carol had been a Town Councilor at Large for thirteen Years, served on the Enfield Ethics Commission, Enfield Building Committee for the Elementary Schools and Junior High, the Enfield Republican Town Committee, the General Government Sub-committee for the council and the Insurance Sub-committee for the council. Judge Carolyn McCaffrey was elected on November 6, 2018 to fill the vacancy for Judge Tim Keeney who retired. Carolyn was also elected to a full four-year term as the Judge of Probate for a first term. Carolyn has the perfect combination of legal expertise and compassion to do the job. 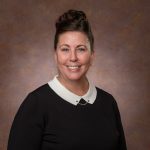 Carolyn has been an attorney for over 17 years, licensed in both Connecticut and Massachusetts and has spent a significant amount of time helping individuals during difficult times in their lives. Carolyn has significant experience in probate matters, estate planning, real estate transactions and civil litigation. She has appeared in various courts throughout Connecticut and Massachusetts. As a Probate Judge, Carolyn will continue to help individuals in their time of need, whether for a probate matter, guardianship, or conservatorship. On Tuesday, November 7, 2017, the voters of Enfield elected another Republican majority on the Town Council. Mike Ludwick was elected as an At-Large Councilor and was named Mayor. Donna Szewczak won the District 3 seat vacated by Bill Lee and was elected by the Council to the position of Deputy Mayor. Joey Bosco was re-elected to his seat as District 1 Councilor. 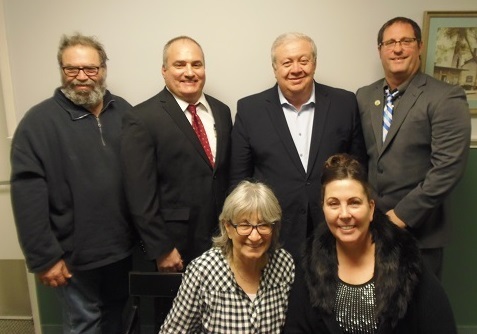 Lori Unghire was elected as an At-Large Councilor after years of service on the Board of Education and Joe Muller was elected to his first term as an At-Large Councilor after a long history of serving our community on numerous boards and commissions. Carl Sferrazza, a former Police Chief in Enfield, was appointed as an At-Large Councilor to fill a vacancy. Mayor Mike Ludwick, of 16 Silver Lane, is an At-Large Councilor. 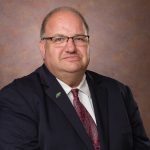 Mike earned his BA from Western New England University and his MBA from the University of Hartford after graduating from Fermi High School in 1987. Mike is a married father of two children. 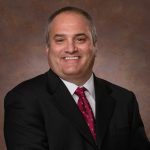 Aside from his role as Director of Underwriting at Aetna, Mike has also served on Planning and Zoning, the Board of Education, the Republican Town Committee and is the Girl’s Basketball Coach at St. Bernard’s. Donna Szewczak, of 35 South Road, represents Enfield’s District 3 on the Town Council and is also Deputy Mayor. Donna graduated from Enfield High School in 1970 and then earned her BA from UCONN. She is married with two children and is the Business Manager for Szewczak Associates. Donna is currently on the Republican Town Committee, the Joint Facilities Committee, and has served on the Board of Education, the High School Building Committee and the Elementary School Expansion Committee. Joey Bosco, of 74 Town Farm Road, represents Enfield’s District 1 on Town Council. A graduate of Enfield High School, Class of 1980, he is a proud husband, father of three children and a grandfather to two. Joey is a small business owner as co-owner of Bosco’s Automotive on Simon Rd in Enfield. 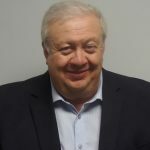 He also serves on the Public Safety Committee, is a Director of the Four Town Fair, is a member of the Enfield Republican Town Committee and is Chairman of the Dept. of Public Works Committee. Joe Muller, of 28 Broad Brook Road, is an At-Large Councilor. Joe graduated from Fermi High School in 1990, earned his AS from Asnuntuck, his BS from Charter Oak State College and his MS from RIT. Joe, a father of two children, is the Building Superintendent at Asnuntuck. Joe is also on the Republican Town Committee and has served his community on the July 4th Celebration Committee, the High School Building Committee, former member of the Inlands and Wetlands Commission former Vice-Chair of the JFK Pre-Referendum Committee and is currently a member of the JFK Building Committee and Joint Facilities Committee. Carl Sferrazza of 22 Taft Lane, filled the vacancy of Peter Falk as an At-Large Councilor. Carl is the former Chief of Police of Enfield and retired on March 1, 2018. Carl has a Masters of Science in Criminal Justice Administration and a Bachelors of Science in Law Enforcement from Western New England College. Carl is an Adjunct Professor of Criminal Justice at Asnuntuck Community College, President of the Mt. Carmel Italian Society of Enfield, Trustee at Johnson Memorial Hospital and Past Chairman of the St. Martha’s School Board of Directors. Carl is married to his wife, Donnalee, and together they have two children. Lori Unghire, of 271 Abbe Road, is an At-Large Councilor. Lori graduated from Enfield High School in 1976 earned her Associates from Asnuntuck and attended the University of Massachusetts. Lori is an author, teacher, is married with two children and served on the Enfield Board of Education. She has also served on the Mayor’s Advisory Council, the CREC Council and CREC’s Board of Directors. 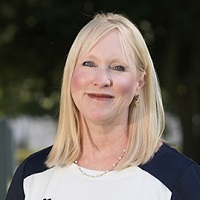 She has Chaired the Enfield High School Opening Ceremony Committee, has been a District Captain for the Republican Town Committee and is a Justice of the Peace and volunteers on the July 4th Celebration Committee. 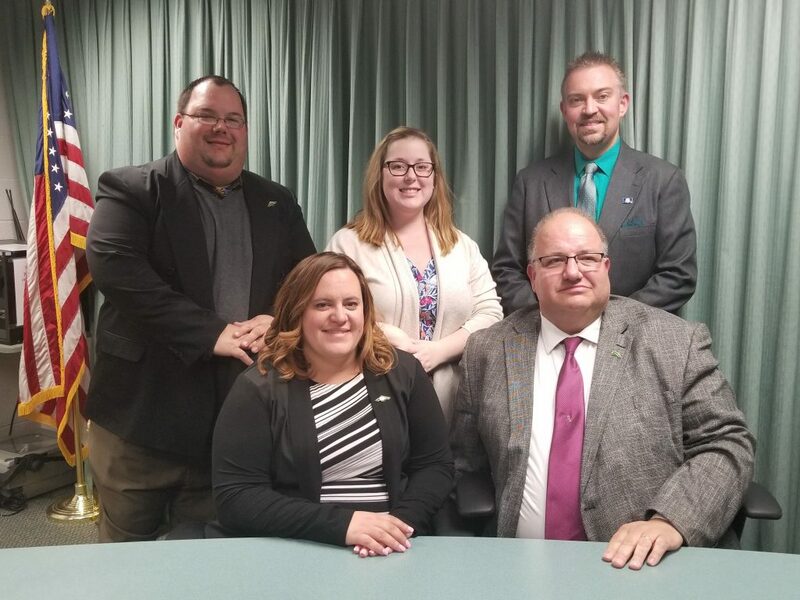 (Back Left To Right): Board of Education Members Rich Regnier, Ashley Depeau and Chris Rutledge; (Front Left To Right): Board of Education Vice-Chairman Charlotte Riley and Board of Education Chairman Walter Kruzel. On Tuesday, November 7, 2017, the voters of Enfield elected another Republican majority on the Board of Education. Walter Kruzel won re-election to the Board and was then names Chairman. Charlotte Riley won her 2nd term and was also named Vice-Chairman of the Board of Education. Rich Regnier won his 2nd term as well. Newcomers Ashley Depeau and Chris Rutledge also won their 1st terms on the Board. Board of Education Chairman Walter Kruzel, of 21 Charnley Road, is serving his 2nd term. Walter graduated from E. Windsor High School in 1984 and received his BS from Keene State College. He is married with three children and is Owner of Peerless Tool & Machine Co. in Enfield. In addition to serving on the Board of Education and the Republican Town Committee, Walter served as liaison to the JFK Pre-Referendum Committee and the High School Building Committee. Walter is also on the St. Adalbert’s Parish Council and the Joint Facilities Committee. Board of Education Vice-Chairman Charlotte Riley, of 55 Jondot Drive, is serving her 2nd term. 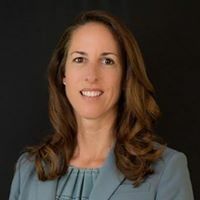 Charlotte is a graduate of East Catholic High School, Class of 1996, and earned her BS from Central Connecticut State University. Charlotte is married and a stay-at-home mom to two children. 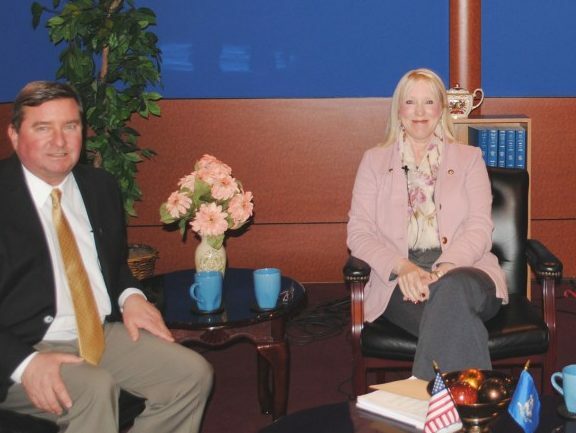 Charlotte is very active in the community, having served on the Republican Town Committee, the Inlands and Wetlands Commission, the Henry Barnard and Nathan Hale PTOs and is Vice-President of the First Readers Association of Enfield. She also is Chair of the Board of Education Finance Committee. Ashley Depeau, of 34 Renee Lane, is in her first term on the Board of Education. 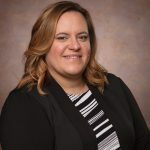 A graduate of Rocky Hill High School, Class of 2005, she is married with one child and works as a Reinsurance Product Administration Specialist for Hartford Steam Boiler. Ashley earned her BS from Charter Oak State College and is a passionate advocate for special education programs. 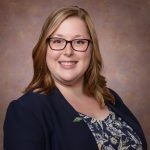 In addition to serving on the Republican Town Committee, Ashley is an avid fundraiser for various charities, and regularly participates in Habitat For Humanity and United Way activities. Ashley also serves on the Joint Insurance Commission and the Board of Education’s Curriculum Committee. Rich Regnier, of 206 Abbe Road, is in his 2nd term on the Board of Education. Rich graduated from Fermi High School, Class of 2000, holds a BS from Western New England University and a MA from American International College. Married with two children, Rich is also an adjunct professor at Bay Path University. 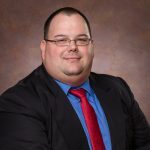 In addition to serving on the Board of Education and the Republican Town Committee, Rich is also a Freemason, Chairs the Board of Education Policy Committee, has served on the NCDHD Health Board and is a USBS Youth Bowling Coach. Chris Rutledge, of 7 Victory Street, is serving his first term on the Board of Education. 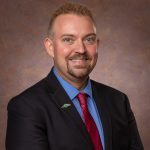 Chris graduated in the top 10% of his class from Maryvale High School in 1995, attended the University of Rochester and later earned a BS in Healthcare Management from California Coast University. Chris is married, has two Golden Retrievers and is a Sr. Data Analyst for Optum Health. Chris is a member of Cornerstone Church where he helps with technology. His is also on the Board of Directors for the Connecticut Debate Association, a mentor for the Enfield Debate Team, 1st Vice-Chair of the CT GOP Rising Stars Internship Program and was Chairman of the JFK Pre-Referendum Committee. Chris also serves on the Board of Education Finance and Policy Committee.